A group of professional Journalists under Health4All Media Initiative (HAMI) held its end of the year review meeting today (Friday, November 30) at I-Care Youth and Women Foundation conference hall, Kaduna, Kaduna State, Northwest Nigeria. 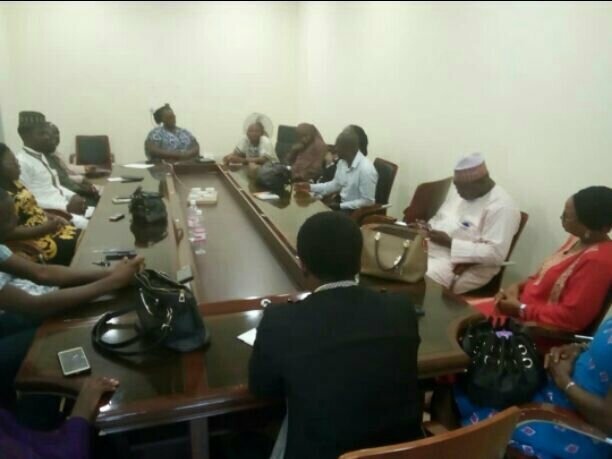 The review meeting, according to the Chairman of HAMI, Jacqueline Adebija, was to access the challenge, success and prospects of the association after its eight month of engagement in media activities to promote Family Planning also known as child spacing and other health issues in Kaduna State. HAMI is a group of journalists cut across print, electronic and new media working on health as one if the key component of Sustainable Development Goal Nigeria is working towards. According to her, HAMI has been doing well since its inauguration in March this year by Development Communication (DevComs) Network with mandate to give adequate coverage to family planning as one of the measures to address alarming maternal and newborn complications profile in the state. Jacqueline, who said though there were toothing challenges in early months of HAMI, she was optimistic that the group will do better in the years ahead. She thanked all members of the forum for abiding by the rules of the forum, a development, she said, has helped the group to remain focused. “I think we have done a great job. For a group that started in the second quarter, to have made a lot of impacts like what we see, I think we have done well. “I am hoping that for 2019, we will take a look at the health days and to start planning to mark the days along other concerned individuals and organisations. “As it is, we cannot rely solely on our partners like Devcoms, NURHI or AMDF. We need to think out of box. This us a good initiative that we all have to strengthened because issues of maternal health touch all of us”, She added.